Title: 'Tabula Geographica Regnim Poloniae ad emendatiora'. 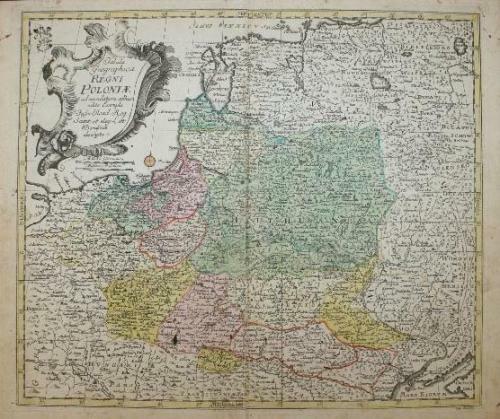 A very rare and elegant map of Poland and Lithuania. In good antiquarian condition with slight browning at the centerfold, an ink stamp in the upper left corner, some verso handwritten notes and mild overall toning. Small tear in left margin (outside map).